Andrea is a Licensed Marriage and Family Therapist (LMFT). Andrea earned a Master of Arts (M.A.) in Marriage and Family Therapy in 2009 and a Bachelor of Science (B.S.) in Family and Consumer Sciences – Child Care Administration in 2007 from Seton Hill University. Andrea works with children, adolescents, adults, couples, and families experiencing a variety of difficulties and diagnosis. She dedicates her life to helping families facilitate positive changes in their lives. Her area of interest and growing expertise includes grief and loss. Andrea began her career with families as a teacher at a daycare and early learning center and then as a Therapeutic Staff Support (TSS). Andrea also worked at a Residential Treatment Facility (RTF) as a Behavioral Specialist and as a Family Specialist for Family Based Mental Health Services (FBMHS). 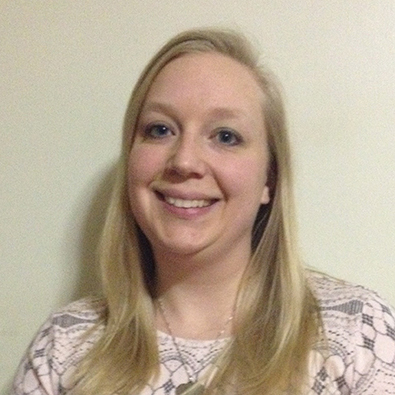 Andrea is a Clinical Fellow member of the American Association for Marriage and Family Therapy (AAMFT) and a member of the Pennsylvania Association for Marriage and Family Therapy (PAMFT).